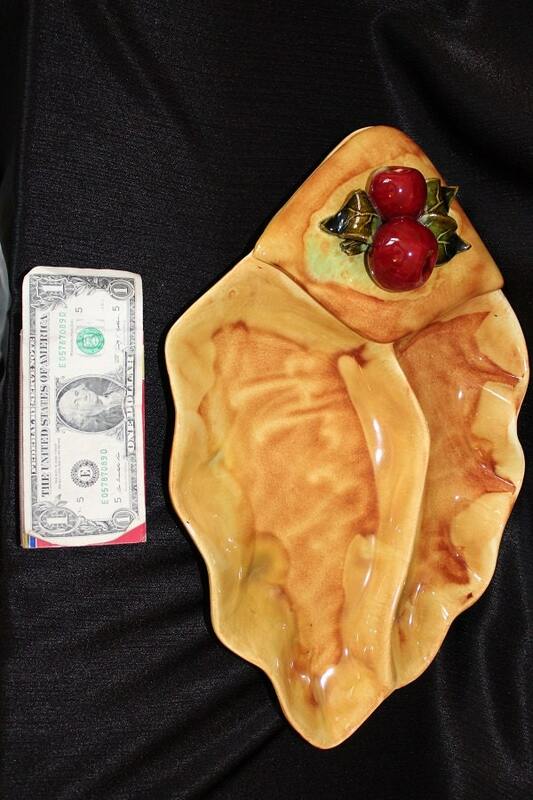 This mid-century divided platter was made by California Pottery. 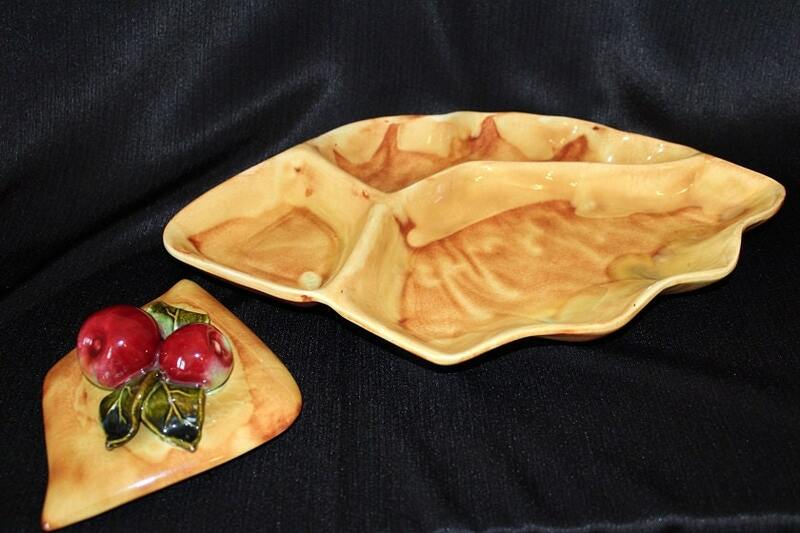 It has an overall high gloss honey gold color accented with a variety of a marbled brown pattern . There are two long divided areas that run lengthwise across the platter. One section is wider than the other. At one end is a lidded covered diamond section. 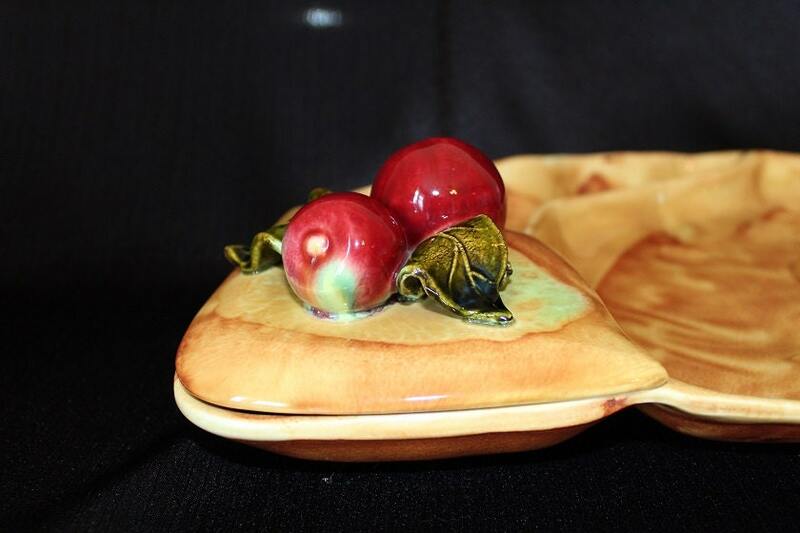 The handle of the lid consists of a pair of red ceramic apples flanked by green leaves. 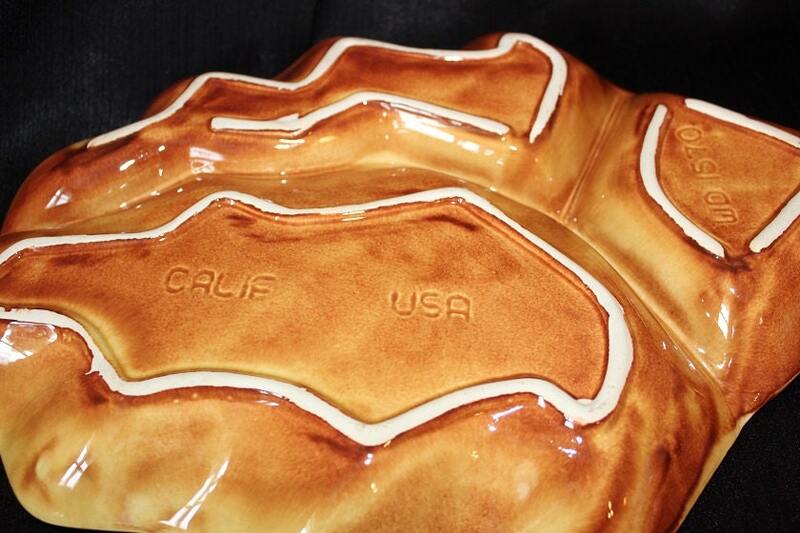 This piece is marked "Calif U.S.A , WD 1570" on the bottom. This serving set is in nice condition. It has a vivid color. 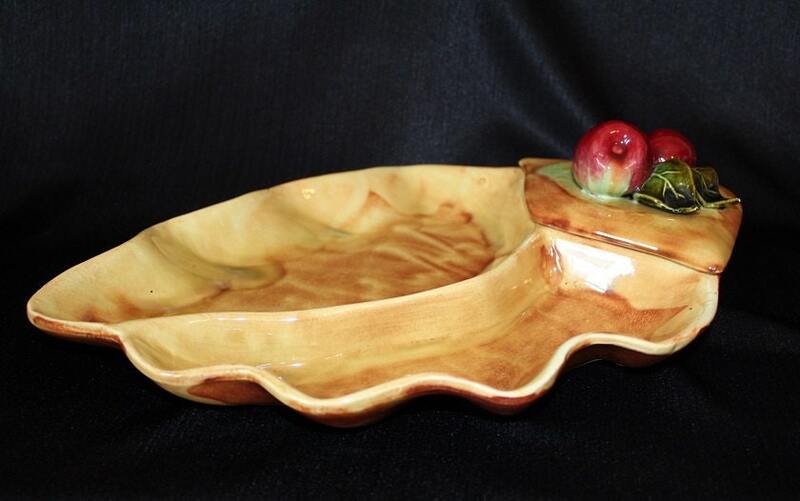 There are places on the bottom of the platter and underside of the lid that not glazed. This was done during manufacturing. There is also a chip on the underside of the lid on one of the corners. This does not take away from the overall look of the piece as it is only visible when you turn the lid over.